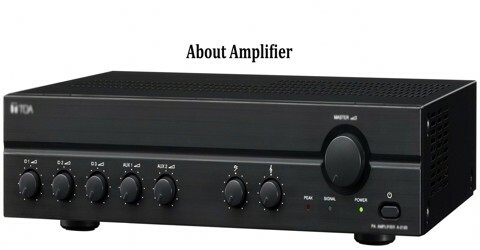 Amplifier is an electronic device that takes a small electric signal and converts it into a large one. Amplifiers are used in stereo systems, electric guitars, and loudspeakers. Amplifiers are used in wireless communications and broadcasting, and in audio equipment of all kinds. They can be categorized as either weak-signal amplifiers or power amplifiers. 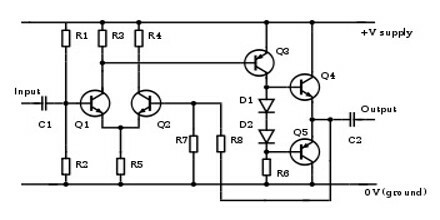 An amplifier is circuits that can give a power gain greater than one. Many electronic devices have amplifiers to boost a signal that represents sound. 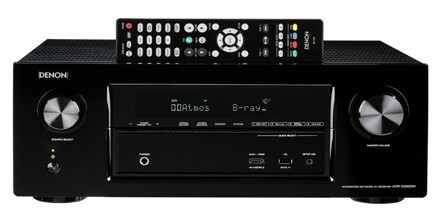 TVs, radios, stereos, tape players and CD players, for example, have amplifiers. The goal of those amplifiers is to boost but otherwise remain faithful to the volume at all frequencies within the range that people can hear. Hearing aids are audio amplifiers, also, but they have a completely different goal. Their goal is to add varying amounts of “gain” depending on the frequency and the amount of hearing loss the wearer has at those frequencies. One is by the frequency of the electronic signal being amplified; audio amplifiers amplify signals in the audio (sound) range of less than 20 kHz, RF amplifiers amplify frequencies in the radio frequency range between 20 kHz and 300 GHz, and servo amplifiers and instrumentation amplifiers may work with very low frequencies down to direct current. Weak-signal amplifiers are used primarily in wireless receivers. They are also employed in acoustic pickups, audio tape players, and compact disc players. A weak-signal amplifier is designed to deal with exceedingly small input signals, in some cases measuring only a few nanovolts (units of 10-9 volt). Power amplifiers are used in wireless transmitters, broadcast transmitters, and hi-fi audio equipment. The most frequently-used device for power amplification is the bipolar transistor. However, vacuum tubes, once considered obsolete, are becoming increasingly popular, especially among musicians. Two important considerations in power amplification are power output and efficiency. There are three categories of amplifiers depending on the property of their output. Voltage Amplifiers: These are most common amplifiers used in the electronic devices. These amplifiers increase the amplitude of the output voltage of the signal. 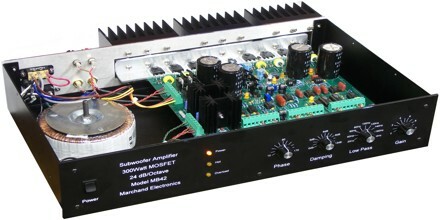 Current Amplifiers: These amplifiers increases the amplitude of the input current compared to the input current waveform. Power Amplifiers: The purpose of the power amplifiers is to increase the power i.e. the product of output voltage and current is greater than the product of input voltage and current. An amplifier functions by taking power from a power supply and controlling the output to match the input signal shape but with a larger amplitude. In this sense, an amplifier modulates the output of the power supply based upon the properties of the input signal. An amplifier is effectively the opposite of an attenuator: while an amplifier provides gain, an attenuator provides loss. Amplifiers can increase the voltage of a signal, taking something from the µV range and converting it to a more useful mV or V level. Or they can amplify current, useful for turning the µA of current produced by a photodiode into a current of much higher magnitude. There are even amplifiers that take a current in, and produce a higher voltage, or vice-versa, also called transresistance and transconductance respectively. Amplifiers are designed to attach to a transmission line at input and output, especially RF amplifiers, does not fit into this classification approach. Rather than dealing with voltage or current individually, they ideally couple with an input or output impedance matched to the transmission line impedance, that is, match ratios of voltage to current. Many real RF amplifiers come close to this ideal. Although, for a given appropriate source and load impedance, RF amplifiers can be characterized as amplifying voltage or current, they fundamentally are amplifying power. Electronic amplifiers use one variable presented as either a current and voltage. Either current or voltage can be used as input and either as output, leading to four types of amplifiers. Video amplifiers are designed to process video signals and have varying bandwidths depending on whether the video signal is for SDTV, EDTV, HDTV 720p or 1080i/p etc. Instrument amplifiers are a range of audio power amplifiers used to increase the sound level of musical instruments, for example guitars, during performances. In wireless communications and broadcasting transmitters, efficiency ranges from about 50 to 70 percent. 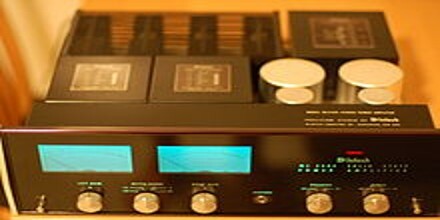 In hi-fi audio power amplifiers, distortion is also an important factor. This is a measure of the extent to which the output waveform is a faithful replication of the input waveform. The lower the distortion, in general, the better the fidelity of the output sound. Reference: techtarget.com, quora.com, electronicshub.org, wikipedia.